We have been making micro modal products since the introduction of our men’s Basel range in 2006. It has proven so popular that we decided to develop a micro modal underwear range. It seems only fitting that a fibre so soft should be worn next to the skin. Our Alex quality combines the stretchy softness of a blend of micro modal and elastane in pure white for underwear that feels and looks fantastic. Our V-neck is a classic of jersey underwear. With a neckline that gently curves to finish at a point just below the breastbone, it is the perfect base layer. 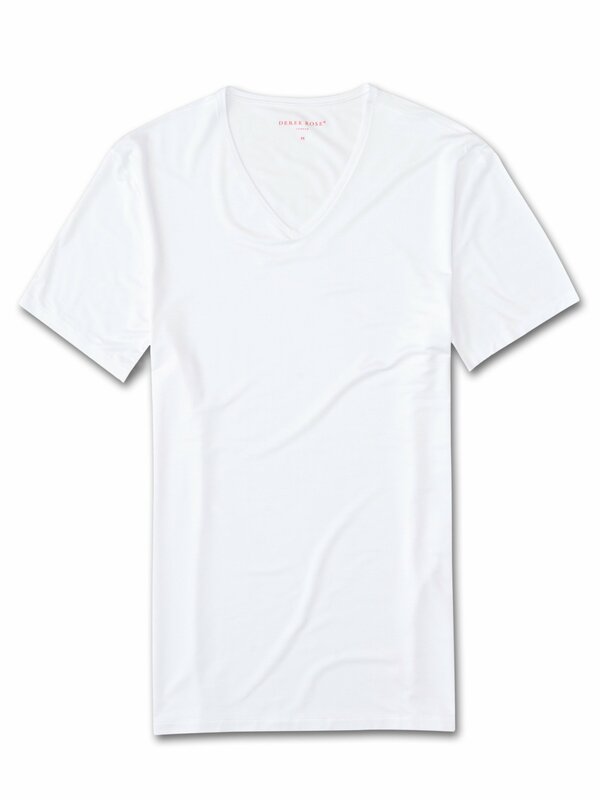 Cut from a blend of 94% micro modal and 6% elastane, our V-neck provides exceptional softness as well as excellent fit.